Tate Britain‘s new exhibition, Ruin Lust, is dedicated to the theme of architectural ruins in art, and makes for a compelling study of the fascination that such buildings have held for artists and the public since the Romantic era. Although the title of the show might suggest an unequivocal love of ruins, in reality our relationship with decaying buildings, mediated by art, proves to be intriguingly complex. Certainly, some of the artworks on show demonstrate the joy of visiting and exploring ruins. JMW Turner’s ethereal and seductive painting Tintern Abbey: The Crossing and Chancel, Looking Towards the East Window (1794) is an excellent example of how art can transform historic ruins into dreamy tourist picnic spots. Other works approach ruins as an opportunity for creative reinvention, like David B McFall’s Bull Calf (1942-45), a sculpture made from stone salvaged from a blitzed Southwark bank. 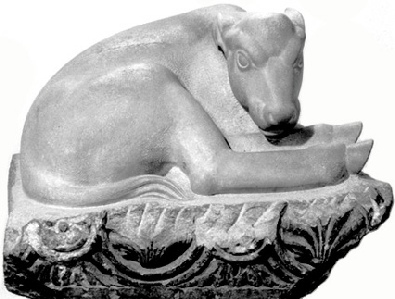 McFall’s sculpture of a young calf, sitting peacefully on a stone base that still features some of its original decorative carving, prosaically encapsulates the idea of new life being created from what was once thought to be old and destroyed. Giovanni Battista Piranesi’s 1760-78 etching of the Roman Colosseum, part of his Views of Rome series, also gives new intellectual power and status to old ruins. Piranesi not only presents an immaculately detailed, bird’s-eye view of this grand, crumbling building, but his diligence also gives a nostalgic, romantic value to the classical ruins, implicitly demanding respect. It is this respect for classical civilisation that Joseph Gandy’s Bird’s-eye view of the Bank of England (1830) seeks to emulate. Commissioned by the Bank’s architect, John Soane, Gandy was asked to imagine the new Bank of England building as if it were a classical ruin, and his dramatic, post-apocalyptic painting – complete with crumbling arches, columns and pilasters – does exactly that. It comes across as a rather vain attempt by Soane to elevate his new building to the status of a classical masterpiece, but also serves to illustrate the loaded symbolic power of ruins in Victorian art. Highlights of the show include John Martin’s The Destruction of Pompeii and Herculaneum (1822), a painted scene of catastrophic destruction and danger, with dark, red, volcanic clouds swallowing the ancient Roman cities in the distance while guards make futile gestures to shield despairing citizens in the foreground. It is a composition that reminds us of our powerlessness in the face of natural disaster and also of the chaotic forces of history that create ruins in the first place. Jane and Louise Wilson’s photograph Azeville (2006) is also remarkable. The image is of an alien-looking concrete structure, dank and overgrown, with a pitch-black, man-made cave at its centre. 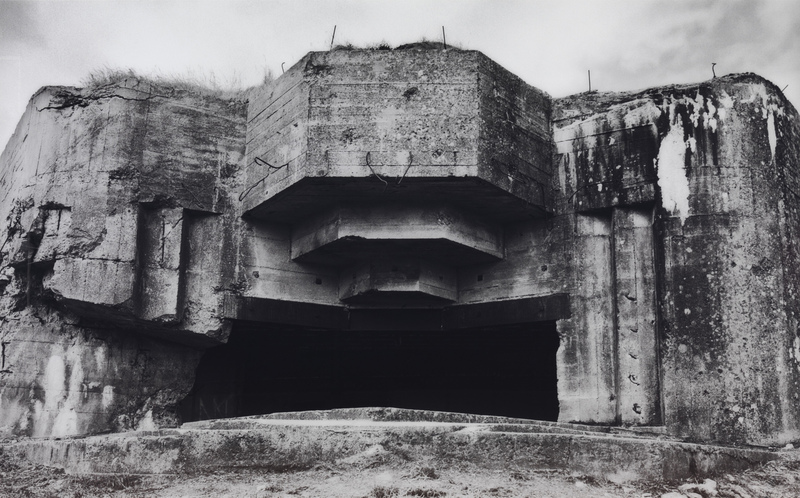 A black and white photo of a section of the destroyed Nazi defense wall along the French Atlantic coast, it is at once terrifying and enthralling, carrying the weight of its own historical narrative and the electric charge of present-day mystery. With Azeville and its accompanying photographs Biville and Urville (2006), the Wilsons have captured the exciting sense of confronting history that accompanies the discovery of ruins. Ruin Lust is open at Tate Britain until 18 May.